It is an awesome phone with the amazing OS 7.1. The keys are tiny yet comfortable to type. The phone is slimmer than its elder brother(8520) and very compact in the palm, with a good holding grip.I earlier used BB Bold 4 and now BB Curve 9220 and the latter satisfies me more given its size and price. The battery lasts more than a day with regular chatting on Bbm and Whatsapp, more than an hour of web browsing and a few hours of music with 20 to 30 calls. The BB OS 7.1 features are just countless with a decent app world. Web browsing is a calm experience in the 9220. 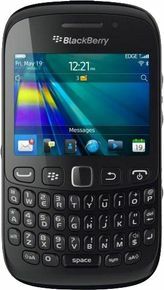 Having use the iPhone 4, 4s, S2, Note, BB Bold 4 and countless others this BB satisfies my gadget greed much. I'm amazed. the phone rocks its amazing... trust me bb always gud....!!!!! !